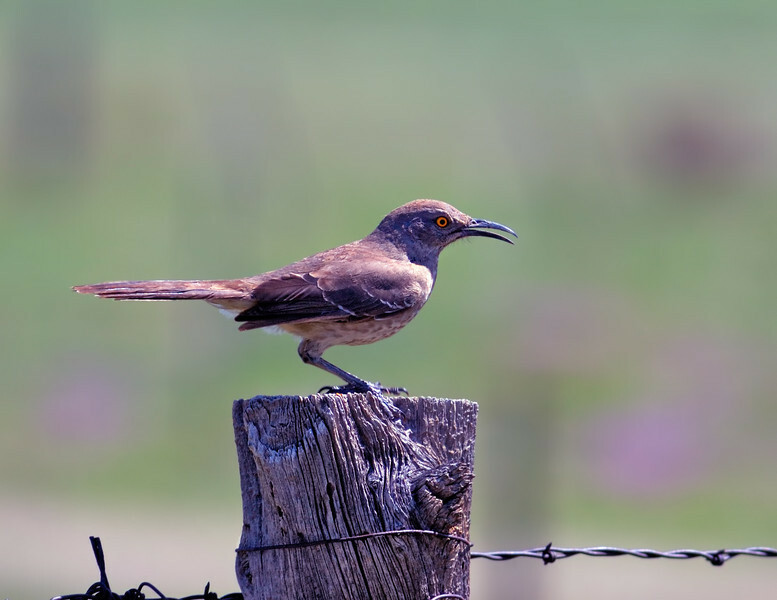 The last birdie in bokeh for now, a Curve-billed Thrasher ( http://www.audubon2.org/watchlist/viewSpecies.jsp?id=71 ) . Sadly this bird has experienced a long-term decline and it watchlisted by Audubon. It has been particularly hard hit in its strongholds of Arizona and Texas. We don't have these guys in NE Colorado near where I live, but we do get to see them in SE Colorado where this image was taken.